Parking lot striping is what we do best, and it shows. 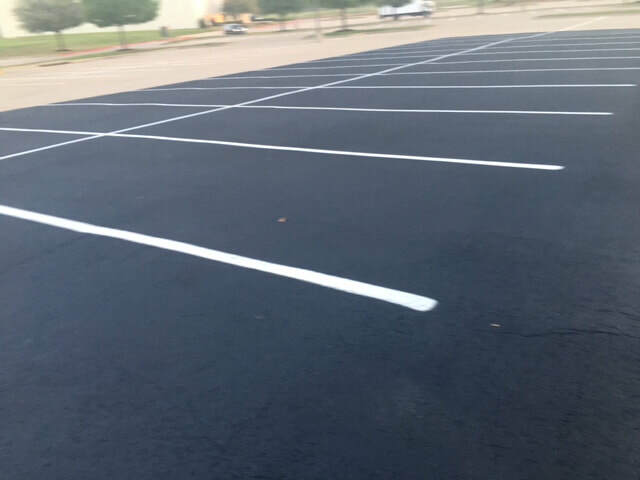 Keeping a freshly striped parking area is an easy way to quickly upgrade the beauty or your business and make your property look amazing in Memphis. We are professionals when it comes to all types of pavement markings and maintenance, and we look forward to earning your business. 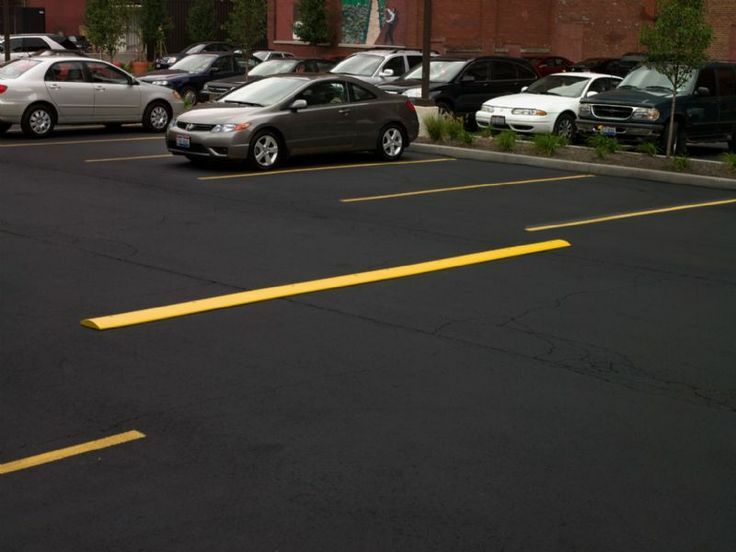 We use the highest quality parking lot and traffic paint to ensure a professional line striping every time. We take pride in knowing that by using the best equipment and materials, along with our personal experience your parking area will look spectacular and stand out from your neighboring businesses. We have all seen the botched striping jobs where lines are striped crooked, or the stenciling is smeared, and no one wants that in his or her parking lot. We take pride in the fact that when we use the top quality material and equipment that we will get the best coverage and adherence to the asphalt or concrete surface. We also paint the straightest lines in all of Tennessee and even cringe when we see a crooked path in other parking lots. We are a full-service business when it comes to all things related to parking lot maintenance and pavement marking. We envision becoming the company you call for all of your ongoing support scheduled items and also for when emergencies arise. Our goal is to provide you with the best customer service as well as quality striping and maintenance services. We do work with both asphalt and concrete parking lots and have experience with all aspects of services you need for your parking lot. No matter the size of job you have, we can assist with everything from parking lot sweeping to full parking lot restoration. Wheel stops are typically installed to prevent vehicles from causing damage to buildings, walls, and other cars, or to keep them off of sidewalks and walkways. Establishing wheel stops are an inexpensive alternative to installing curbs around the property. Wheel stops can be made from different materials, but you will mostly find them made of concrete, rubber, steel, and even plastic. Depending on your needs and budget, you can find a wheel stop that will fit best in your lot. We can help you pick the right type of car stops, and we also do the installation for you. Speed bumps have one primary purpose, and that is to force traffic to slow down in areas where there is pedestrian traffic. Parking lot areas, crosswalks, etc. are great places to have speed bumps installed. Enforcing safety in your parking lot is a great thing to do and can easily save lives or prevent accidents. Just like wheel stops, speed bumps should be brightly painted and easily visible. The visibility is a great visual to let drivers know they need to slow down, as well as make the bumps and humps visible for pedestrians walking through the parking area. You also want the speed bumps visible so that vehicles do not hit the bumps at a high rate of speed without seeing them in advance. That in itself would be dangerous and could cause damage to the patron’s vehicle. We offer installation and removal services no matter the type of speed bumps you have or want in your parking lot. When was the last time you thought about bollards? Many people do not even know what a bollard is by name, but once they see one, they realize these little dudes are everywhere. Their primary purpose is to act as a physical barrier to protect against vehicle intrusion to specific or secure areas. You will typically see bollards around building entrances, pathways or other pedestrian areas, or exposed utilities. 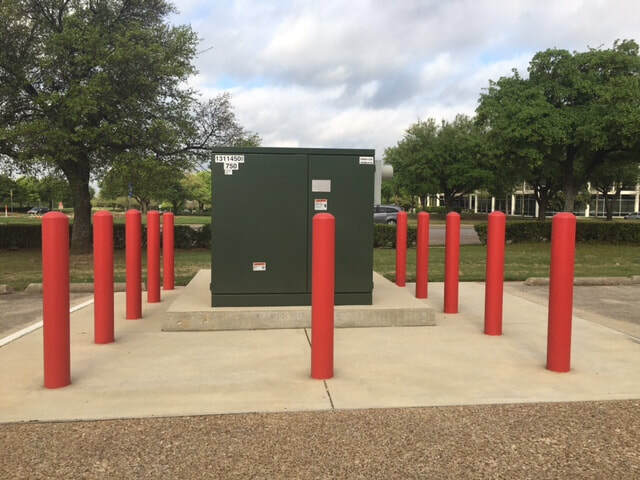 Bollards can also be installed merely to protect buildings or structures in areas that it may be easy for vehicles to run into, such as toll booths accidentally, or drive-thru regions at banks and restaurants. Depending on the purpose for the bollard, you can find different types. Some are made from construction grade steel and reinforced with concrete to provide for maximum protection. Others are used more to merely guide both foot and vehicle traffic along a specific route and keep them out of areas they should not be. These types are mostly decorative and ornamental type designs that can also contain lights to illuminate the area during darkness as well as add to the ambiance of your business. We can even install removable or retractable bollards if you have an area where traffic flow changes often. 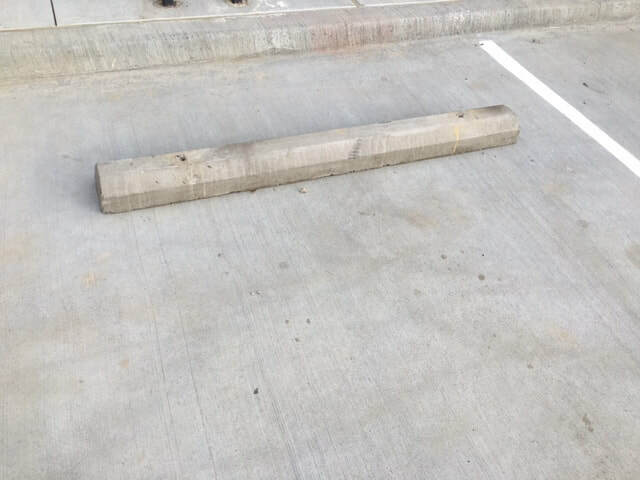 No matter the type of bollard you need for your parking area or business, our professional installers can handle the job. There is no project too large or too small for us to assist with your bollard installation project. Have you ever had the dreaded visit from the local fire marshal? If so call us today and our professional stripers will get your parking lot back into compliance. We stay up on all of the local fire codes and make sure your business is providing the safety necessary to allow for emergency vehicle access (Fire, Police, and Ambulance). When fire lanes are painted, they will also need to be maintained. Otherwise, you can face getting a fine. It is best for you to be proactive, and keep your lanes painted before receiving a fine. As you know by now, we are all about safety and making sure your parking lot is up to code. The American Disabilities Act (ADA) requires compliance with your parking lot regarding accessible parking spaces. The ADA went into effect back in 1990, so most everyone is used to this by now. The ADA requires that your parking lot provide handicap parking stalls for patrons that handicap or disabled. The rules are based on the size of your parking lot, and the amount of utilized parking spaces per 1,000 sq. Ft. You may also be required to have van accessible stalls as well. Don’t worry about trying to figure out all of the rules, because we have that covered for you already. 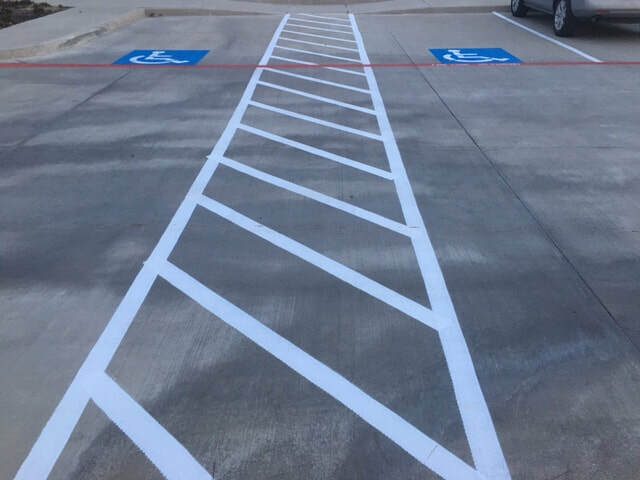 We will ensure that your parking will meet all compliance requirements and that your parking lot will pass inspection after we have completed the striping and stenciling. Contact us today for a FREE estimate, or to discuss any questions you may have about ADA compliance. We will be glad to assist. When the seal coat is applied, it becomes the actual wearable surface that will break down over time, leaving the real asphalt base unharmed, and in great condition. As vehicles drive and turn on the surface, the surface begins to wear down, and this is called abrasion. As abrasion occurs, it occurs to the seal coat, but over time you will need to reapply the seal coat, which is the continued maintenance part. Sealcoating will fill tiny cracks and help to weatherproof the surface. If you do not have this production, then water can seep through these small cracks down to the base, which will cause oxidation and deterioration over time, which both will cause damage. Protecting your original investment is very important so that you are not spending vast amounts of money in the future to redo the asphalt surface. The seal coat surface will make your parking lot look brand new. 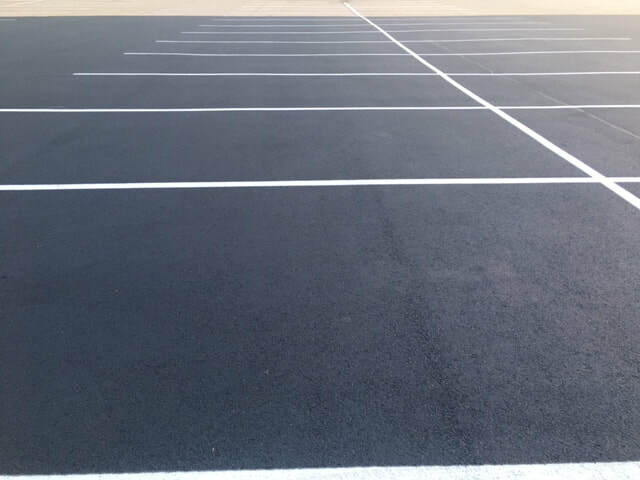 The deep black coloring, along with crisp, fresh striping will make your parking lot look spectacular. ​Local business is the lifeblood of Memphis, and we love to help keep your business, safe, compliant, and looking amazing. Our primary goal is to not only provide you with an excellent service but also to become your asphalt and concrete maintenance service for life. As with any structure, continued maintenance is the only way to ensure that it will last longer and protect your original investment. We work with many different businesses in the area providing excellent service. If you do not see your business type listed below never fear, we cannot list every single type of business, or this website would never end. If you have a parking lot, warehouse, or any other structure that may need striping, we can assist you today. 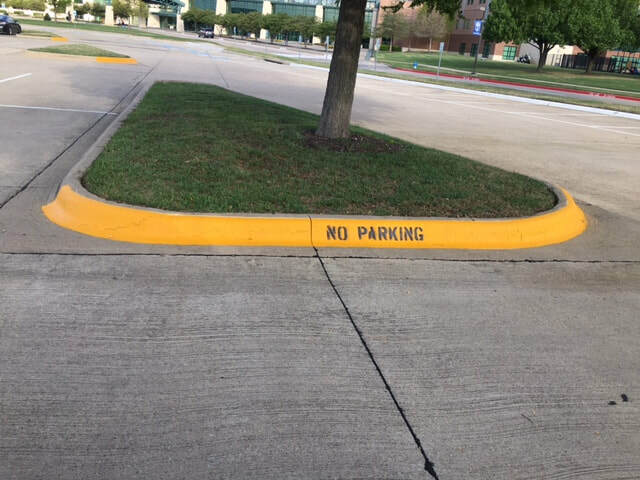 ​As you can see from our website, there is a lot that can go into striping a parking lot safety, and compliance. Once we know the size if your parking lot, and what types of services you need we can give you a FREE quote, so you know exactly what the costs will be. Since every parking lot is different, we must do measurements and calculations to provide you with the bottom line price of your project. Give us a call today, and we will schedule a time to measure your lot and speak with you about the different types of safety and compliance issues you may be facing. Rest assured we do offer the most competitive pricing in the entire Memphis area so you will be getting the best deal available.